الخيار الأفضل للحصول على المتعة والاسترخاء, Abby's Cottages يقع في منطقة برغت في برايت. يمكن من هنا للضيوف الاستمتاع بسهولة الوصول إلى كل ما تقدمه هذه المدينة النابضة بالحياة. بالنسبة لمن يريد الخروج، هذه بعض المعالم السياحية المتوفرة للزوار محمية حديقة بيونيير, ‪Huggins Lookout‬, مستشفى حي برايت. إن الخدمات التي يقدمها Abby's Cottages تضمن للنزلاء إقامة مريحة. هذه بعض الخدمات الموجودة في هذا الفندق: صف السيارات, الحيوانات الأليفة مسموح بها, تأجير دراجات هوائية, مكان مخصص للتدخين. بالإضافة لهذا,تتضمن كل غرف الضيوف مجموعة واسعة من وسائل الراحة . بعض الغرف توفر حتى تلفزيون بشاشة مسطحة, حوض الاسترخاء, غرف لغير المدخنين, مكيف هواء, تدفئة لإرضاء أكثر الضيوف تطلباً. سواء كنت من محبي الرياضة أو كنت تتطلع لتفريغ عناء نهار صعب، ستجد خدمات ذات مستوى عالي بانتظارك كمثل حديقة. اكتشف مزيجاً ساحراً من الخدمة الاحترافية والخيارات الواسعة من وسائل الراحة والمتعة في Abby's Cottages. 10 out of 10! Best stay in bright. You will love it. Everyone will love it! A must do if your a couple wanting a romantic escape. Fire place, full kitchen to cook if you want. Huge King spa bath with tv/DVD you can watch in the spa or bed. Tv and DVD also downstairs. Kangaroos outside and complete privacy . You will love it. We had a fantastic stay and found Sue and her family to be lovely. The cottage was superb and Sue's attention to the little things (pods for the coffee machine, candles in the bathroom etc) was very welcoming and unexpected. The wildlife (rabbits and wallabies) visiting in the front garden was delightful too. We had a great time and I would highly recommend Abby's Cottages to everyone. My daughter and I stayed in Bonnie's Cottage. It's a small well laid out retreat. 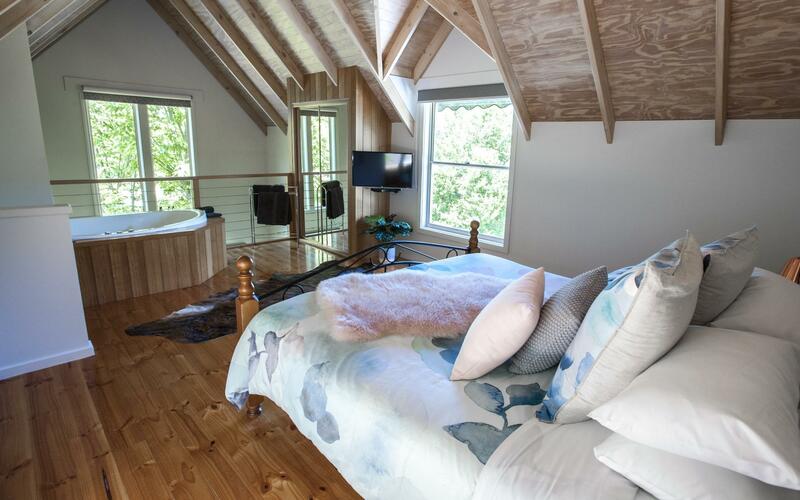 Built into a hill, you enter in the middle level which includes the bathroom and toilet, a few steps up takes you to the bedroom with spa bath on a platform overlooking the kitchen. Downstairs is the kitchen and lounge with front verandah. 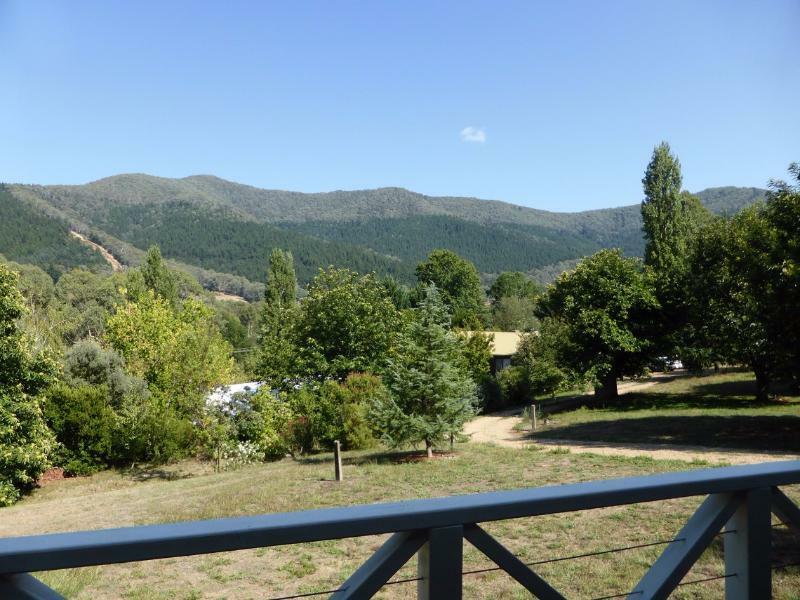 The views from the kitchen and verandah of the surrounding hills is just spectacular. Lots of wildlife, wallabies, kookaburras and other birds. Ingredients for delicious breakfasts was included in the fridge and pantry. Bright had plenty to keep us interested, and delicious restaurants. A great location for a short rural holiday and this is the perfect place to stay whilst you are there.